CCHPCS is striving to meet the current and future needs of individuals and families who are facing life-limiting illnesses. We must maintain our ability to fulfill our mission and vision physically and financially. Leadership is vital and must meet both the human and financial resources needed to meet the Mission. Partnership and collaboration at all levels of our society is fundamental. 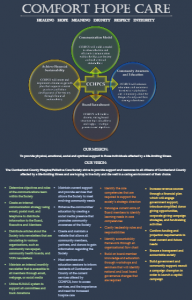 Corporate, Government and private support is central in order for the CCHPCS goals to be achieved. Business planning and financial sustainability are crucial in order to meet the challenges of the future. It is, therefore, our expectation that this strategic development process will propel the Society forward into the next several years. 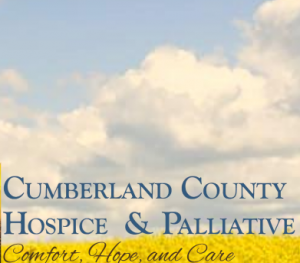 CCHPCS strives to provide physical, emotional, social and spiritual support to all citizens of Cumberland County affected by a life-limiting illness. We are a not-for-profit society registered with the Nova Scotia Registry of Joint Stocks.